I returned from a trip abroad and read the numerous articles in Haaretz and Yediot Aharonot concerning the recent publication of testimonies made to the Agranat Commission that had been assigned by the Israeli government to inquire the Yom - Kippur war (1973). After 40 years of silence, I have finally decided to address the matter and share my own take on what occurred. The reader will judge for himself how far commentators, in their tendentious use of the testimonies, have strayed from the reality of what happened. They have allowed themselves, without a moment’s hesitation, to quote half a sentence from a main headline and fill in the rest with personal commentary, as if the second half of the sentence, which stands in complete contrast to their commentary, did not exist. The public in general, and today’s leaders in particular, deserve to know that when the aberration of 1973 occurred, the Mossad was the one system within the intelligence community that did above and beyond what was demanded of it. Détente between the world powers and its implications on the conflict: In May 1973, the Americans estimated that, despite limited probability, an Egyptian military offensive was becoming increasingly likely. The logic behind such a military operation would be to move the conflict out of its current standstill. Most other options had already been blocked. Sadat could not expect anything from Brezhnev at the upcoming summit. Brezhnev was not going to risk détente for Egypt’s sake. Only military action would force the world powers to take the conflict seriously. In June 1973, a credible source stated that if the Nixon-Brezhnev deal did not succeed in altering the status quo in the Middle East, Egypt would try to take control of the Mitla Pass, in the Sinai. Late 1972 – Early 1973: At this time, plans for war were not yet complete, and there were no reports of preparation in the front. Late April – Early June 1973: By this time, the main plan for war had been completed, but there were few reports of preparations in the front. In addition, Egypt and Syria had not yet closed all of the gaps in capabilities (regarding the air raids in the rear, electronic warfare, anti-aircraft missile systems). Moreover, the Soviet Union had asked to postpone the outbreak of war, promising that if the upcoming summit between the United States and the Soviet Union did not lead to action, the Soviet Union would supply [Egypt] with offensive weapons. September – October 1973: Although the early warnings continued in the same vein at this time, now [the Egyptian army] was fully equipped. Prior to this time, reports of preparations in the front had begun to surface on an unprecedented scale. From mid-July until October 6, 1973 – the date war broke out – the top Mossad sources provided 23 unequivocal early warnings, primarily citing Egypt and Syria’s complete and detailed war plans. Operational goals: Since Sadat’s rise to power in 1970, the strategic goal had been to end the standstill by means of a military operation, which would instigate a political process. The operation’s territorial goals became fewer as the war approached. At first, the goal was to cross the Suez Canal and occupy the territory up to and including the Mitla Pass. On the eve of the war, it was reported that the objective of the first stage of attack was to advance ten kilometers east of the Suez Canal. Advancement further eastward would depend on the results of this first stage. Bolstering [the Egyptian and Syrian armies]: In 1972 and 1973, the Mossad’s best sources provided hundreds of intelligence reports on the equipping of the Egyptian and Syrian armies, as well as on the closure of capabilities gaps – both of which had been defined as pre-requisites for going to war. As noted above, these reports were culled from both Humint and friendly state intelligence services, usually in the form of authentic original documents. These documents attested to the [Egyptian army’s] ability to deter Israel from attacking deep inside Egypt, [due to its possession of] long-range bomber jets equipped with air-to-surface missiles and surface-to-surface Scud missiles, electronic warfare equipment, Sager anti-tank missiles, SAM-6 anti-aircraft missiles, and Syria’s possession of FROG surface-to - surface rockets, as well as bridges, assault boats and rampart-breaking equipment. Strategic issues: The Mossad gave advance warning of an oil embargo, which was indeed declared as a result of the war. The embargo did not come out of nowhere; rather, it was the result of an agreement between Sadat and the oil-producing countries, which was reached before the war broke out. The Mossad warned that, at the onset of battle, Egypt would impose a blockade on the Bab Al-Mandab Strait and place mines at the entrance to the port of Eilat. The Mossad reported that Sadat and King Hussein [of Jordan] had reached an agreement, according to which Jordan would prevent the IDF from passing through Jordanian territory to reach southern Syria. In light of all of the above, is it really possible to claim that the Mossad “was confused” or a “in thrall to the concept” [that Egypt would never attack Israel, no matter what]? I will now address the methodology used by the commentators who have written about the war in recent months. In their analyses and critiques, not a single one of them took into account the structure, responsibilities and capabilities of the Mossad 40 years ago. They compared then-Director of Military Intelligence Eli Zeira to then-Director of the Mossad Zvi Zamir, and handed out grades to them as if the two men were on equal footing in their authority, responsibilities and capabilities – which they were not! 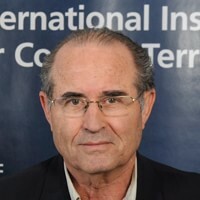 Eli Zeira, then-Director of Military Intelligence, bore ultimate and sole responsibility for assessing national intelligence; he was responsible of four Israeli intelligence-gathering agencies, which served under his direct command. [In contrast], Zvi Zamir, then-Director of the Mossad, was responsible for only one agency. The Director of Military Intelligence had at his disposal the largest research body of its kind in Israel at the time, while the Mossad was prohibited from engaging in intelligence research and evaluation. Moreover, the focus of the Mossad’s intelligence-gathering operations was determined exclusively by Military Intelligence. At the time, the Mossad’s human intelligence division included a desk assigned to Military Intelligence, known as Intel. 11; this desk was staffed by an officer with the rank of Lieutenant Colonel whose job it was to receive all of the briefs from Military Intelligence and transfer them expressly to the Mossad’s human intelligence sources;. This officer was also the first to see any raw intelligence material that came in from the Mossad’s secret Human sources. In time, an additional desk called Intel.12 was established as part of the Mossad division responsible for relations with friendly intelligence agencies; its role was identical to that of Intel. 11. Military Intelligence research officers carried out periodic evaluations of the Mossad’s sources, and regularly participated in the interrogation of Mossad sources overseas. The Mossad turned over all of the information it received to Military Intelligence, without exception. Conversely, Military Intelligence shared the outcome of its research and evaluations with the Mossad very selectively and arbitrarily, always with the justification of assumed “field security”. I am not the one who coined the phrase, “when the intelligence is good, there is no need for evaluation”. However, based on my personal familiarity with every piece of intelligence information that the Mossad provided to Military Intelligence, I maintain that if ever there was an historical – and historic – event that proved the truth of this statement, it was the Yom Kippur War. The reader will judge from the above sampling whether or not this statement is persuasive. I recall that on Friday, October 5, 1973, I returned home late and asked my wife to pack my bag since I would be going to war the next morning (I was already aware of the early warning that war would break out on October 6). In the morning hours of Saturday, October 6, I was in touch every hour with the deputy Head of the Collection Department of Military Intelligence, in order to be updated hourly directly from the "Almighty himself". It was midday when the deputy informed me that our scouts were reporting that the embankment of the Suez Canal had been breached by water pressure hoses. I asked him, “What is your assessment then?” He replied, “We still think that it is a training exercise!” I said goodbye, adding that I would see him again after the war. I kissed my wife and children, got into my car, and went to war on the Syrian front. There is another saying: “Everything begins and ends with people”. The Minister of Defense at the time, Moshe Dayan, was considered on the eve of the Yom Kippur War as a manifestation of God Almighty on earth. The IDF leadership was [still] drunk on the success of the Six-Day War. Then-Prime Minister Golda Meir, whose knowledge of military and war issues was limited, automatically accepted the opinions of the Defense Minister Dayan and Military Intelligence Chief Zeira. Much has been said about the sin of vanity. Allow me to end on an important note in this regard. As someone whose primary occupation for 34 years was intelligence, including seven years as the Director of the Mossad, I take the liberty of concluding that the ultimate rule (some would say skill) in this profession is that when in doubt – there IS no doubt! In other words, those who work in this profession must always be doubtful, because they are engaged in the decision making of life and death and the fate of peoples. 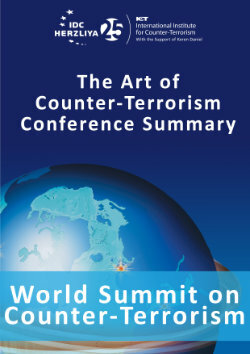 Based on the analysis of information provided by Mossad sources, then-Mossad Director Major-General (Res.) Zamir always expressed doubt about the (mistaken) assessments of Military Intelligence, even as then-Director of Military Intelligence Zeira basked in his own vanity. The reader can find evidence of this in the many pages of Zamir’s testimony before the Agranat Commission. There is no greater proof of Military Intelligence’s dismissal of the Mossad’s assessments than passages from the testimony of the former Director of Military Intelligence himself. The foolish attempt by certain media figures to remove blame from Military Intelligence and place it on [an allegedly] faulty Mossad and its director is inappropriate, and will certainly not withstand the test of history.